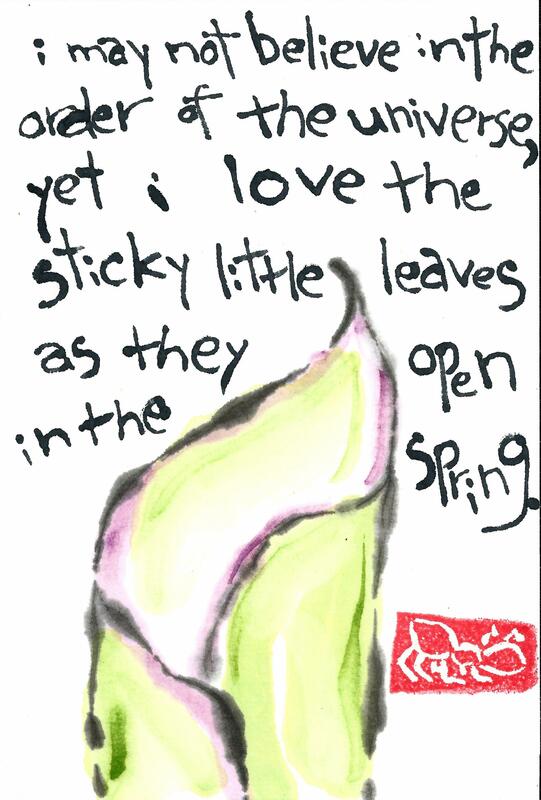 Recently I read a memoir, Plenty of Time When We Get Home, by a former colleague, Kayla Williams. It tells the story of her and her husband’s experience with his traumatic brain injury and PTSD and the impact that has had on their relationship. Williams, a veteran of Iraq, writes with humor and frankness. Prepare yourself for some curse words, as well as the wonderful ups and the low downs of her relationship with her husband. Williams deftly intertwines the very personal story of their relationship with analysis of the larger experiences of veterans, both men and women, of the US wars in Afghanistan and Iraq, such as the challenges they face with healthcare, jobs, education, and making lives for themselves back in the US. You’ll find discussions of and footnotes to important research as well as guidance on how veterans in need can get help. 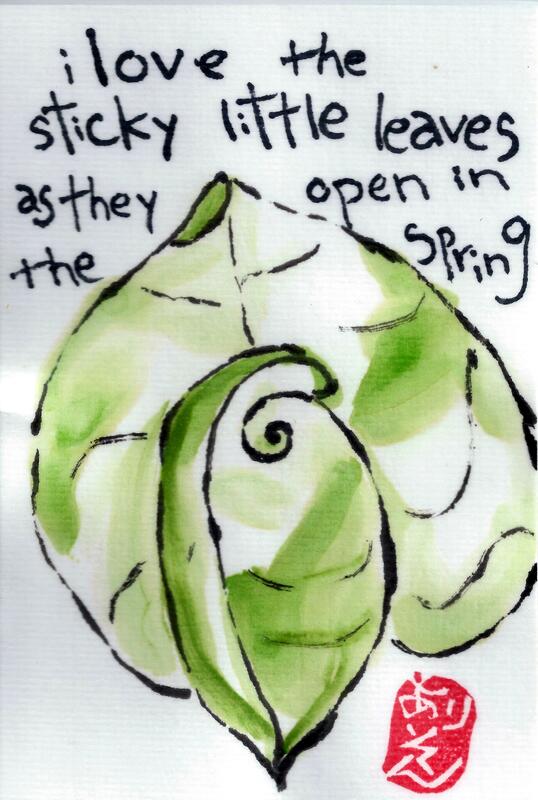 I painted a few cards of spring leaves, using these words, inspired by her memoir. I’ll be sending one to her. Your etegami gives the story a whole new trajectory. So space is curved and the universe sticky.